U.S. President Donald Trump said Friday he was considering sending illegal immigrants to so-called sanctuary cities. "Due to the fact that Democrats are unwilling to change our very dangerous immigration laws, we are indeed, as reported, giving strong considerations to placing Illegal Immigrants in Sanctuary Cities only," Trump wrote on Twitter. Critics of the plan branded it as an effort to use migrants as pawns to go after political opponents. So-called sanctuary cities are places where local authorities do not cooperate with Immigration and Customs Enforcement officials, denying information or resources that would help ICE round up people living in the country illegally. They include New York City and House Speaker Nancy Pelosi's San Francisco, who on Friday called the idea "unworthy of the presidency of the United States and disrespectful of the challenges that we face as a country, as a people, to address who we are — a nation of immigrants." 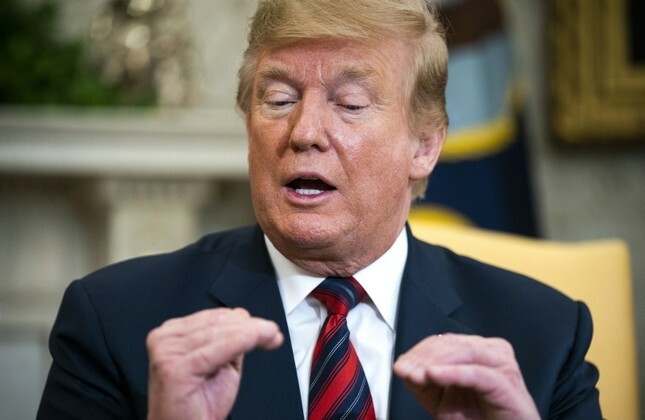 The plan, which was first reported by the Washington Post, is one of many ideas considered by an increasingly frustrated White House in recent months as President Donald Trump has railed against the growing number of Central American migrant families crossing the southern border. Officials say they are running out of options, and have proposed and recycled numerous ideas that have never come to fruition. Trump in recent weeks has discussed the idea of renewing his administration's controversial family separation policy. And he and aides are weighing forcing asylum-seeking families to choose between being detained together as their cases make their way through the courts or sending their children to government-run shelters. The No. 2 House Democrat, Steny Hoyer of Maryland, criticized the idea of using ICE or any other federal agency "to penalize" or "for political reasons." "That's not the act of a democratic government," he said. A Homeland Security spokesperson played down the reported idea, saying it was "floated and rejected, which ended any further discussion." A White House official echoed that language. Former ICE Deputy Director Matt Albence, who on Friday was announced as the agency's acting director, denied that the White House pressured immigration officials to implement the idea. During his tenure at the Justice Department, Trump's former Attorney General Jeff Sessions went after sanctuary cities, threatening to cut off their federal funding.